Beef Boneless English Roast, $2.99 lb. Beef Ground Round, $4.99 lb. 8 oz Pure Ohio Maple Syrup, $4.99 ea. 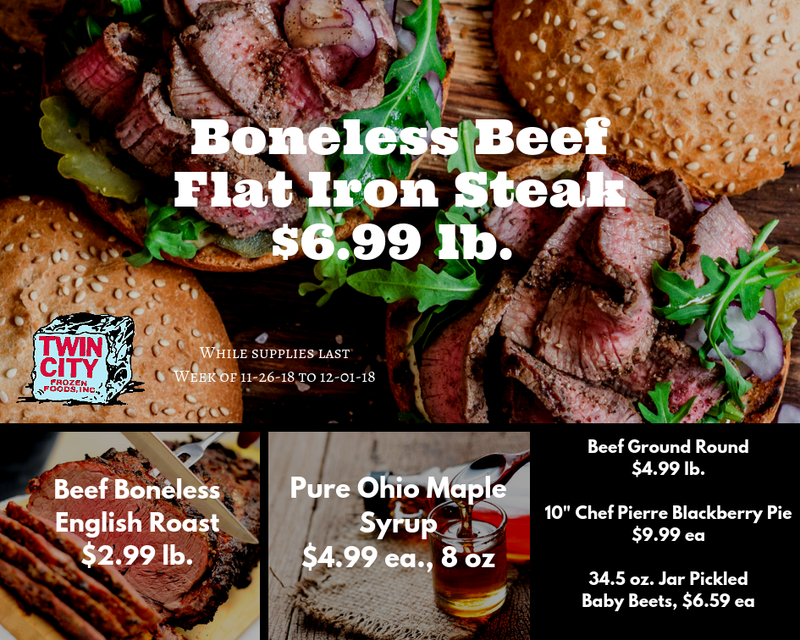 Boneless Beef Flat Iron Steak, $6.99 lb.